The best growth funds to buy can be used for long-term investing or for holding during optimal stages of the business cycle. But before investors choose growth funds, it's important to understand the nature and benefits of this popular investment vehicle. Growth funds are mutual funds or exchange-traded funds (ETFs) that hold growth stocks, which are stocks of companies that are expected to grow at a rate faster in relation to the overall stock market. A good way to understand growth stocks and the funds that invest in them is to understand the difference between the growth and value investing styles. If you invest in growth stocks, you're buying stocks of companies that are in the growth phase of a business. During this phase, the growth company is growing revenues (and hopefully its profit margin) at a faster pace than during other phases, such as the start-up phase and maturity phase. During the growth phase, most companies reinvest profits in the company, rather than paying dividends to shareholders, as in the maturity phase, which is typical of value stocks. An example of a growth stock is Amazon (AMZN), whereas an example of a value stock is Johnson & Johnson (JNJ). Both are large companies; however, AMZN is still clearly in the growth phase of its business life cycle. It uses most of its profit to reinvest in growing the company, whereas JNJ is in the mature phase and shares more of its profits with shareholders in the form of dividends. Mutual funds and ETFs are generally intended to be long-term (at least 3-year but more appropriately 10-year-plus) holdings. With that said, growth funds typically outperform value funds in the last stage of an economic cycle, or the period before recession begins. This time frame is typically one year or more. For example, growth funds beat value and the S&P 500 index in 2007, the final calendar year before the Great Recession of 2008. In fact, returns for the average growth fund was double that of the S&P 500. Growth funds also beat the S&P 500 in 2017. Choosing the best growth fund to buy for your portfolio is no different than shopping for clothes. There is no one-size-fits-all choice that works for everyone. Vanguard Growth Index (VIGRX): If you want to passively invest in large-cap U.S. growth stocks with a low-cost, no-load mutual fund, VIGRX is an outstanding choice. The VIGRX portfolio consists of about 300 of the biggest growth names in the U.S. like AMZN and Facebook (FB). Expenses are low at 0.19 percent and the minimum initial investment is $3,000. 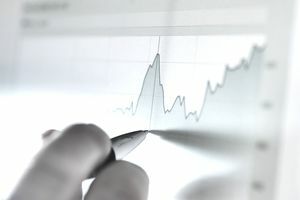 Fidelity Contrafund (FCNTX): If you want to go the actively-managed route, you may not find a better growth stock mutual fund than FCNTX, at least not while veteran manager Will Danoff is at the helm. Danoff, FCNTX manager since 1990 has seen just about every economic and market environment you can imagine and he's averaged top-notch performance in the long run. For reference, FCNTX has performed ahead of the average large growth fund for the 1-, 3-, 5- and 10-year returns. Considering the outstanding performance and high-quality management the expense ratio of 0.68 percent is cheap. The minimum initial investment is $2,500. Fidelity Select Technology (FSPTX): Investors looking for a pure dose of growth in a sector fund will want to consider investing in one of the best technology funds like FSPTX. Tech stocks are commonly the most aggressive growth stocks to buy. The FSPTX portfolio holds mostly large-cap tech stocks like Apple (AAPL), Alphabet (GOOGL), and Nvidia (NVDA). Expenses are reasonable at 0.78 percent and the minimum initial investment is $2,500.